Adult sizes can be worn by males and females. 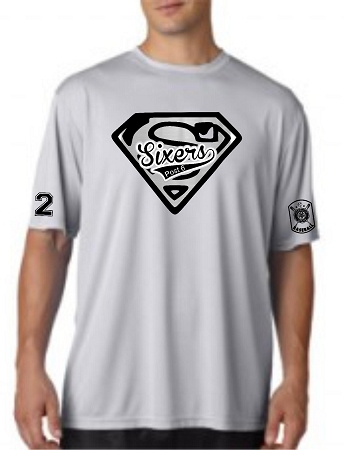 This Super Sixer shirt is a definite must have for Post 6 fans. 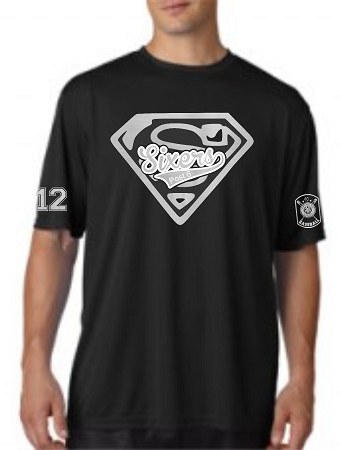 This cool shirt comes with a custom super sixer logo.You can customize your shirt with your players number and a American Legion sleeve patch for an additional charge. 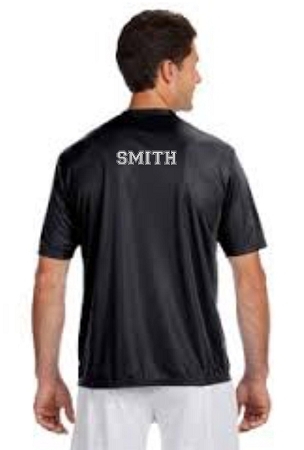 Why not add your players name to the back as well. Save $2 when you add all three! This cooling performance crew neck tee is ideal for wearing on those hot summer days. 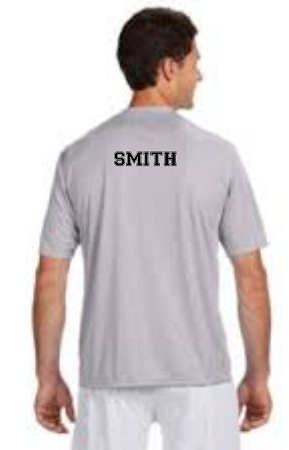 Available in Black and Silver.